The wedding of Eva Pillar and Andrew Mizerak (circa 1910). She was ~20 years old and he was ~28 years old. Both were born in Galicia, a provence of the former Austro-Hungarian Empire. She was born in 1890 and he was born in 1883. Many of the “poor” from the provence of Galicia were enticed to leave for work in the coal mines of northeastern Pennsylvania or in the dress factories in the NYC metropolitan area. 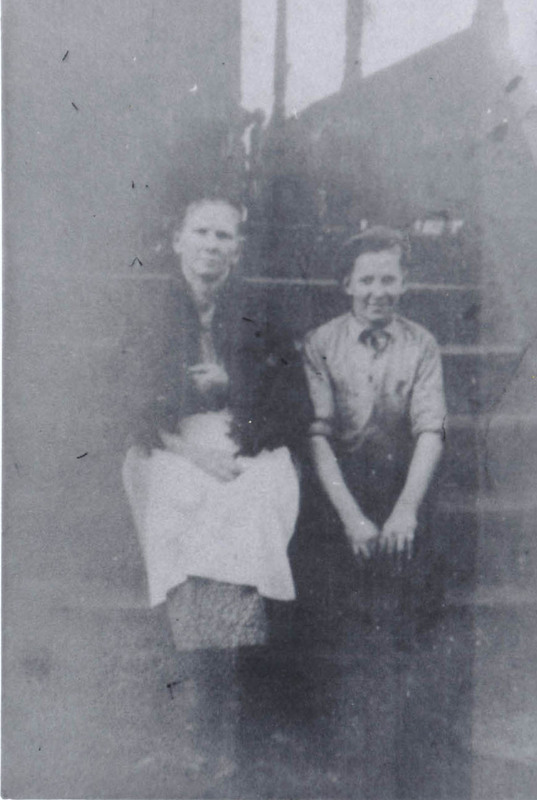 Eva emigrated to the USA in 1905 and Andrew in 1909, at the ages of 15 and 26 years, respectively. After World War I, because Austro-Hungary was on the loosing side, the provence ceased to exist as a political entity and was absorbed into the countries of southeast Poland and western Ukraine. Andrew entered the US in 1909 via Ellis Island from the village of Majchowice which is now in SE Poland. He entered with the slavic name of Andrzej Mazurek. We are not aware of the village from which Eva came. 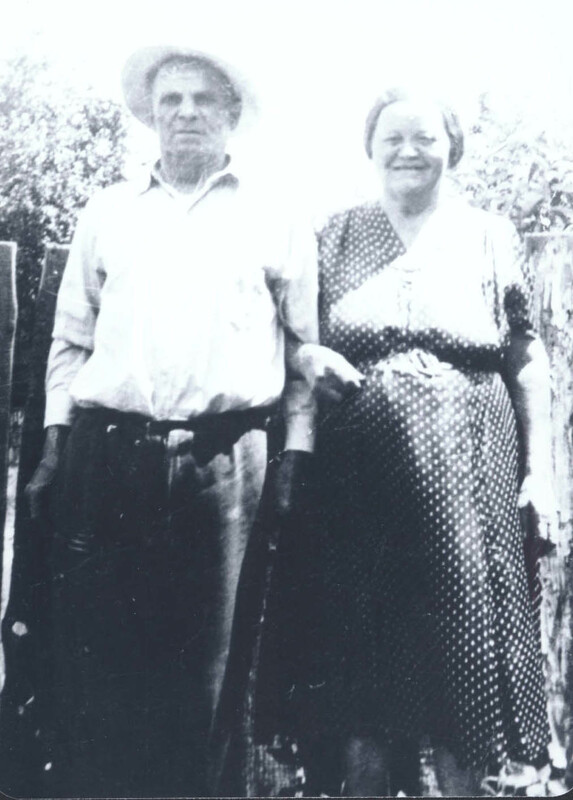 They met in the New Jersey area near NYC where she worked in a dress factory.He worked in the coal mining region of NE Pennsylvania and came to town with some of his friends who were all looking for wives in the Galician immigrant community..
Andrew and Eva Mizerak in the early 1940’s. 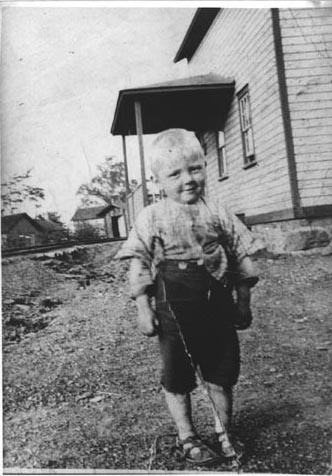 They built a home on Hudson Street in Jermyn, PA, along the railroad tracks that traversed the Lackawana River valley between Scranton and Carbondale. Andrew supported the family as a coal miner. By 1920, at the ages of 38 and 30 years, respectively, they had 4 children: John (8 years), Mike (6 years), Mary (5 years), and Anne (3 1/2 years). The first born, “Andrew”, died in infancy. Three more children survived into adulthood. Helen, Olga, and Catherine. Helen had a twin sister, “Margaret”, who died at the age of 2 years. 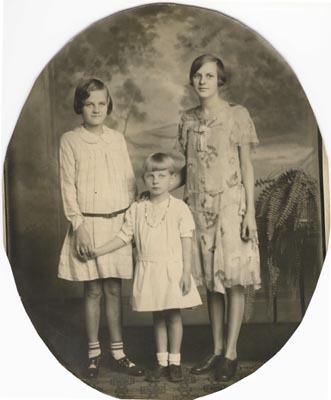 Their daughters Anne, Helen, and Mary (our mother) – Circa 1931. 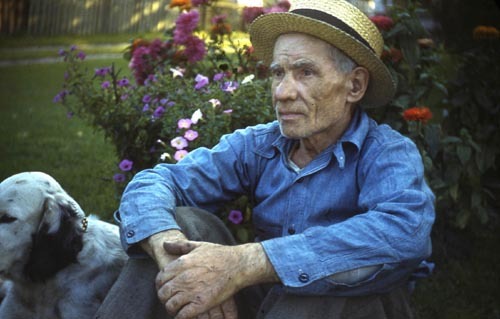 Wasyl (Alex) Pronko (born 1877). 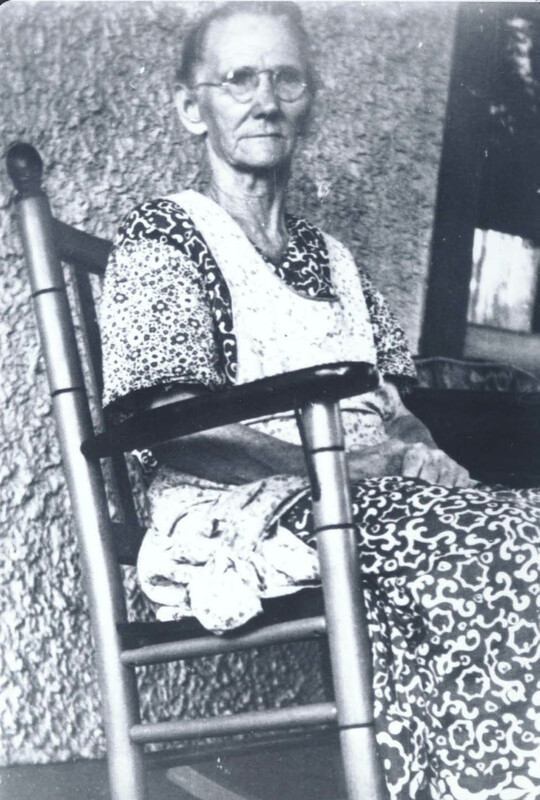 Teklya (Ethel) Zinsky (born 1880). Both were born in Galicia, a provence of the former Austro-Hungarian Empire. Many of the “poor” from the provence of Galicia were enticed to leave for work inthecoal mines of northeastern Pennsylvania or in the dress factories in the NYC metropolitan area. Teklya emigrated to the USA in 1899 and Wasyl in 1886, at the ages of 19 and 11 years, respectively. After World War I, because Austro-Hungary was on the loosing side, the Provence ceased to exist as a political entity and was absorbed into the countries of southeast Poland and western Ukraine. They both came from the village of Bednarka which is now part of SE Poland. Wasyl Pronko was the son of George Pronko and Rozalia Sokach who resided in Bednarka. Teklya Zinsky was the daughter of Constantine Zinsky and Ewka Popivchak who resided in Bednarka. However, they met in the USA and did not know each other while they lived in Bednarka. This was due to the differences in their age and dates of emigration. 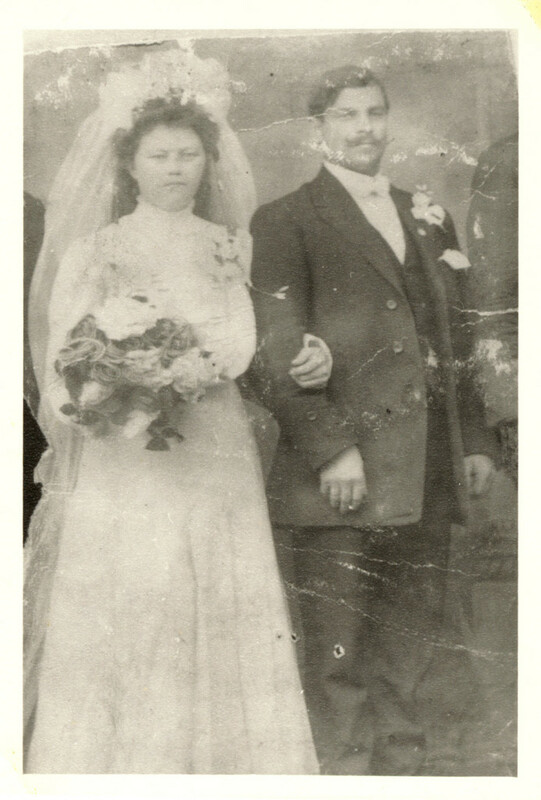 They were married 12 Feb 1898 at St’s Cyril and Methodius Ukrainian Catholic Church in Olyphant, PA. Wasyl supported his family as a coal miner. After living in coal mining company housing for a number of years, they built a home on Lackawanna Ave in Olyphant, Pa. By 1920, at the ages of 40 and 43 years, respectively, they had 9 children: George (21 years), Nick (18 years), Mary (17 years), John (15 years), William (13 years), Stephen (11 years), Anna (9 years), Peter (7 years), and Evelyn (2 1/2 years).